It’s almost the end of summer in Miami and the start of the season. There are lots of things happening in the coming months like Art Basel, and of course Halloween celebration and the end of humidity. This is the season where more and more people from around the world come and visit. Why not learn English in Miami at the same time. We look forward to welcoming you to our South Beach English school for the experience of a lifetime very soon. 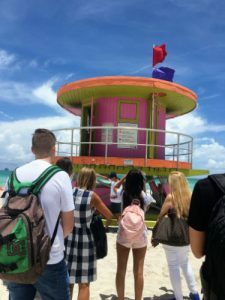 Improve your English, connect with students from all over the world, and explore exciting Miami. Remember, we have English courses for all levels and a minimum stay of just one week. Whether you want to pass a test, improve your career prospects or just brush up on your English, we have an English course for you.